Enjoy your first massage at Spa Cloud for a promotional price of $59 (regular price $89) for 60 minutes or $89 (regular price $115) for 90 minutes. This promotional rate is applicable for new clients on either Swedish or Therapeutic massages. For Deep Tissue or Sports massage, there is an extra $10 ($15 for 90 minutes) surcharge. * Please be advised, this promotion cannot be paid with WaySpa giftcard and cannot be combined with Late Night Cryotherapy promotion or Happy Hour promotion. 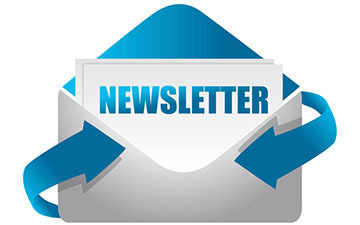 Sign up to our newsletter and get notified about latest promotions and events. 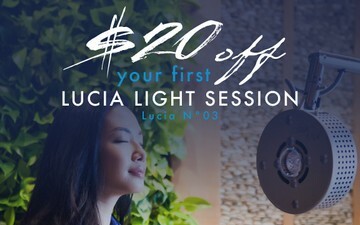 Get $20 off your first Lucia N°03 session. Get $20 off your Facials between Monday – Thursday. Please call us to get this promotion. 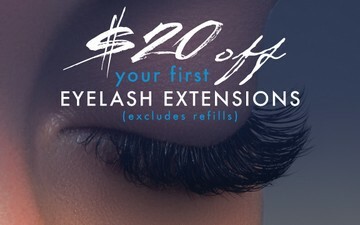 Get $20 off your first Eyelash Extension. Get $20 off your first Cryotherapy session. Try out Cryotherapy for only $30 on Fridays & Saturdays between 7PM – 9PM. * Please be advised, this promotion cannot be paid with WaySpa giftcard and cannot be combined with First Time Massage promotion. 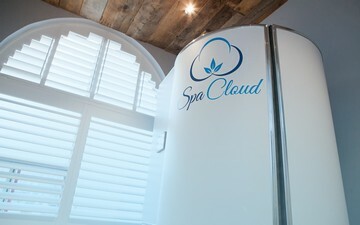 Every Monday, Tuesday & Wednesday, we offer a complimentary Cryotherapy session with any massage booking. This is the easiest way to try Cryotherapy if you’ve never tried it before or the most economical way to maintain a regular Cryotherapy regimen. Valid only between 10am-5pm on Mondays, Tuesdays & Wednesdays. * Please be advised, this promotion cannot be combined with First Time Massage promotion.